Study areas: Caucasus, Far East, Russian Plain. I. V. Zamotaev, I. V. Ivanov, P. V. Mikheev, and A. N. Nikonova Chemical contamination and transformation of soils in hydrocarbon production regions // Eurasian Soil Science, 2015, Vol. 48, No. 12, pp. 1370-1382. Zamotaev I.V., Belobrov V. P. Position of soils and soil-like formations of football grounds in the soil classification system // Byulleten Pochvennogo instituta im. V.V. Dokuchaeva. 2015. Vol. 79, pp. 91-110. O. V. Kaidanova, I. V. Zamotaev, T. M. Kuderina, A. N. Kurbatova, S. B. Suslova, G. S. Shilkrot. Current ecological and geochemical state of aquatic landscapes of the Seim River Basin (the Kursk Region) // Regional environmental issues, № 3, pp. 180-185. A. L. Aleksandrovskii, E. I. Aleksandrovskaya, A. V. Dolgikh, I. V. Zamotaev, A. N. Kurbatova. 2015. Soils and cultural layers of ancient cities in the south of European Russia // Eurasian soil science. 2015. 48(11): 1171-1181. Kutovaya O.V., Zamotaev I.V., Belobrov V.P. Communities of microorganisms and invertebrates in soil-like bodies of soccer fields in Moscow Oblast // Eurasian Soil Science, 2014, Vol. 47, No. 11, pp. 1107-1115. Zamotaev I.V., Belobrov V. P. Elementary soil processes in soil-like bodies of soccer fields in Russia // Pochvovedenie, № 8, 2014, pp. 998-1013. Belobrov V. P. and Zamotaev I.V. Evolution of the soil cover of soccer fields // Eurasian Soil Science, 2014, Vol. 47, No. 4, pp. 245-254. I. V. Zamotaev, O. V. Kaidanova, T. M. Kuderina, A. N. Kurbatova, S. B. Suslova, G. S. Shilkrot. The dynamic of heavy metal pollution of urban landscapes Kursk region // Geopolitic and ecodynamic of regions, Vol. № 1, 2014, pp. 322-327. 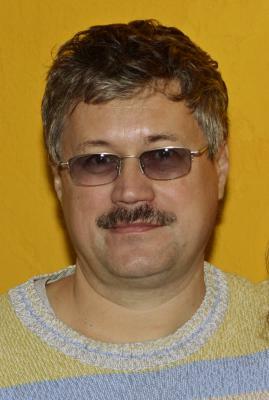 Zamotaev I.V., Belobrov V. P., Dmitrieva V.T., Shevelev D.L. Technopedogenesis in soil-like bodies of soccer fields in Russia. M.: «Media-PRESS», 2012, 264 p.
Belobrov V. P., Zamotaev I.V., Ovetchkin S.V. Geography of soils with fundamentals of soil science. Textbook. M.: Akademia, 2012. 384 p.